Oxygen Indexing Machine is suitable for homogeneous solid materials, lumber, laminated material, foamed plastic, fabric, film and film of the material, such as the burning test. Looking for ideal Wood Oxygen Index Tester Manufacturer & supplier ? We have a wide selection at great prices to help you get creative. All the Oxygen Index Indicator are quality guaranteed. 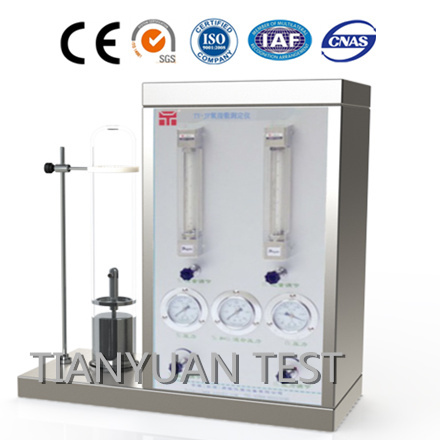 We are China Origin Factory of Laminate Oxygen Index Tester. If you have any question, please feel free to contact us.